Visit the gallery and you will find American-made pottery, jewelry, photography, prints, paintings, art glass, metal art, wind chimes, stained glass and more. Have fun visiting the gallery or shopping on-line. 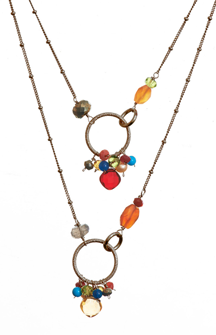 Experience our huge selection of Jewelry, including Patricia Locke, Anna Balkan and many others. 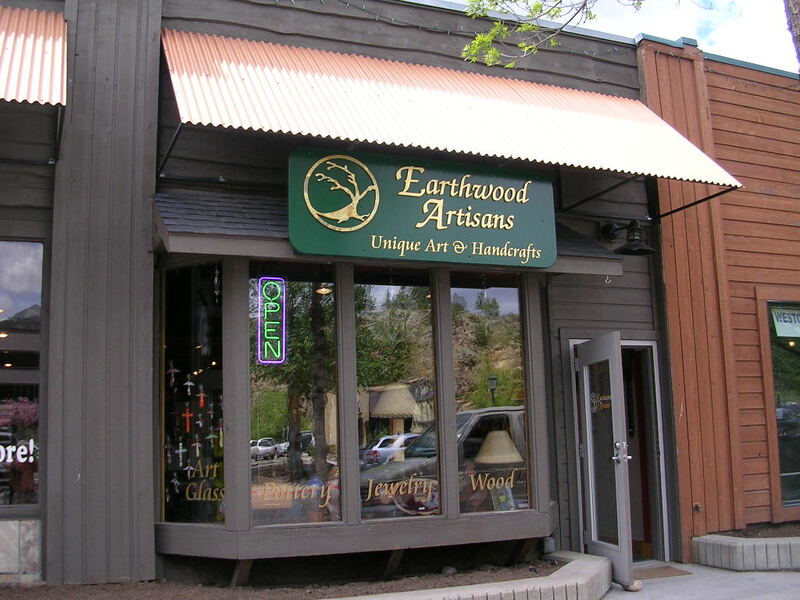 Experience the May First Friday at Earthwood Artisans in Estes Park! American Jewelry preview. Meet Fort Collins fused glass artist Kathi Dougherty and experience some of her newest work. 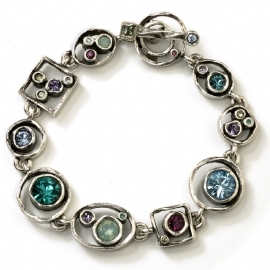 See a wonderful selection of all the new American, hand-made art and jewelry. Ride the FREE trolley between all the participating event locations, which is a mix of galleries, breweries, wineries, and distilleries. Complementary refreshments, wine and snacks. Enjoy American-made art in downtown Estes Park. Check out the two new sculptures by Artist Rollin Karg that are installed behind Earthwood Artisans, along the River Walk. Take your picture by them if you like! 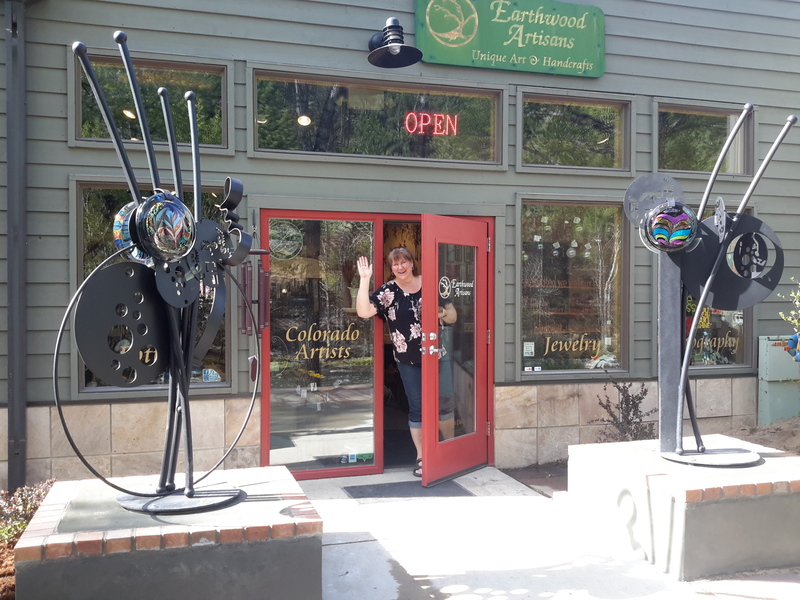 Enjoy First Fridays at Earthwood Artisans every month of the year. There will be various artist demonstrations, meet-the-artist events, live music and always wine and snacks. Experience Estes Park with your friends and have a blast!